These positions refer to governors, mayors, directors of major industries , and manufacturing companies. • 66% of members of board of directors are absolutely non native. • Native executive :35 or 43% . 2) 405 individual currently serving as board of director . 297 or 73% are non-native . 3) Only 108 out of 405 board of directors in the above companies are native to the province ,equivalent to 26% of the total . 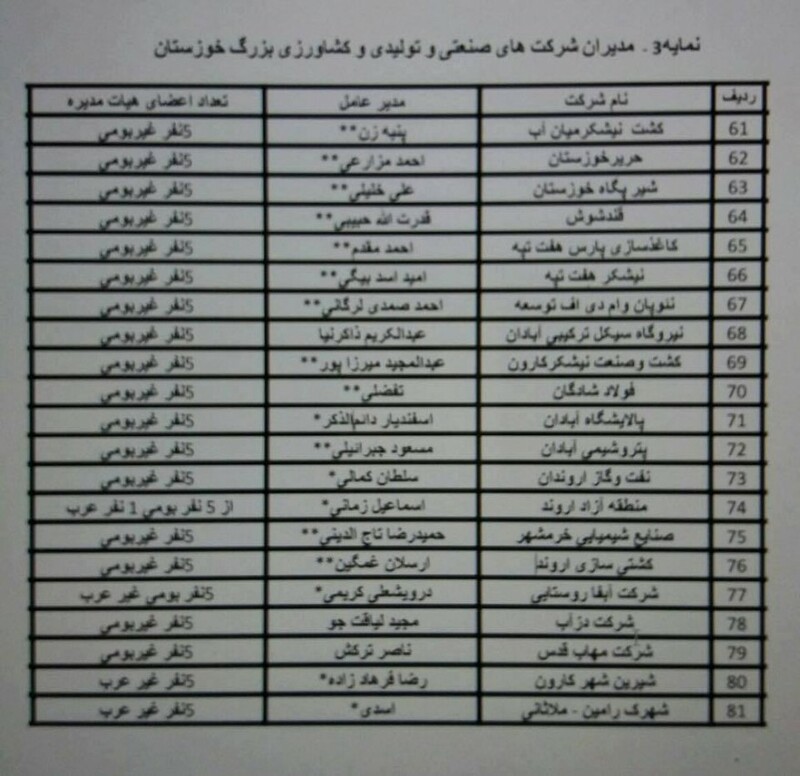 4) Among 108 non-native officials only one person Admiral Ali Shamkhani ,Secretary of the Supreme National Security Council in Arvand Free Zone is a native . making the share of indigenous population in official positions 0/9% and 0/2 % of administrative posts. 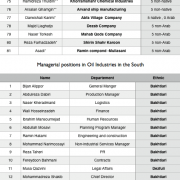 5) Among the 81 companies in the province not even one Arab specialist work force occupies the executive post . 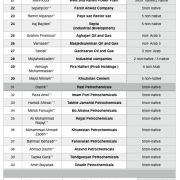 6) Most of the shares in these companies belong to banks such as “Bank Saderat Iran (BSI) “and Bank Melli Iran (BMI( “ in addition to social security pension funds and “Persian Gulf Petrochemical Industries Company“ which is Iran’s first petrochemical holding company . 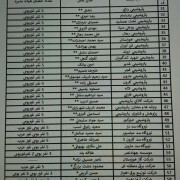 The list provided to us shows that since the inception of Islamic Republic of Iran in 1979 , no Arab governor was appointed for the province and during the past four decade only one Arab citizen by the name of “Naim Mojadam “ was appointed the governor of Ahwaz for a period of 45 days in 1990 . 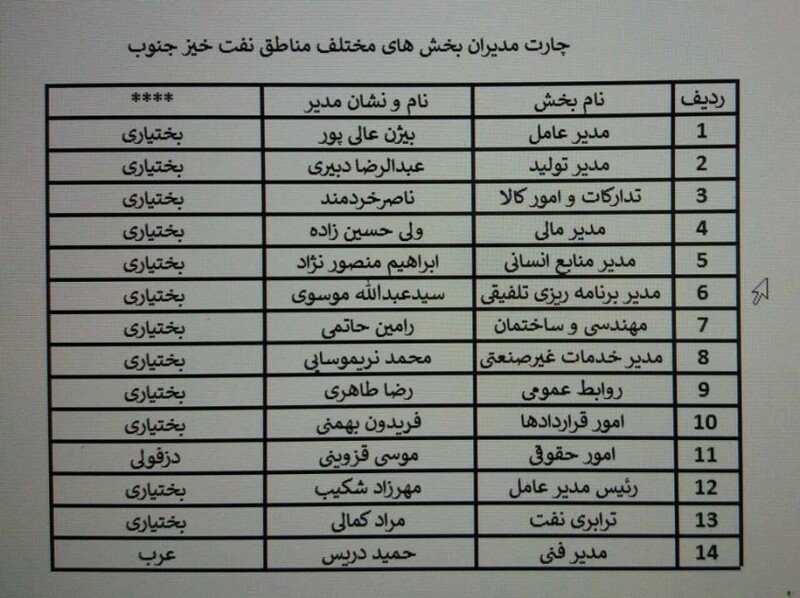 24 governors were appointed as governor , out of which 5 were from followingprovinces : Gilan , Fars , Bushehr , Kerman , Isfahan . 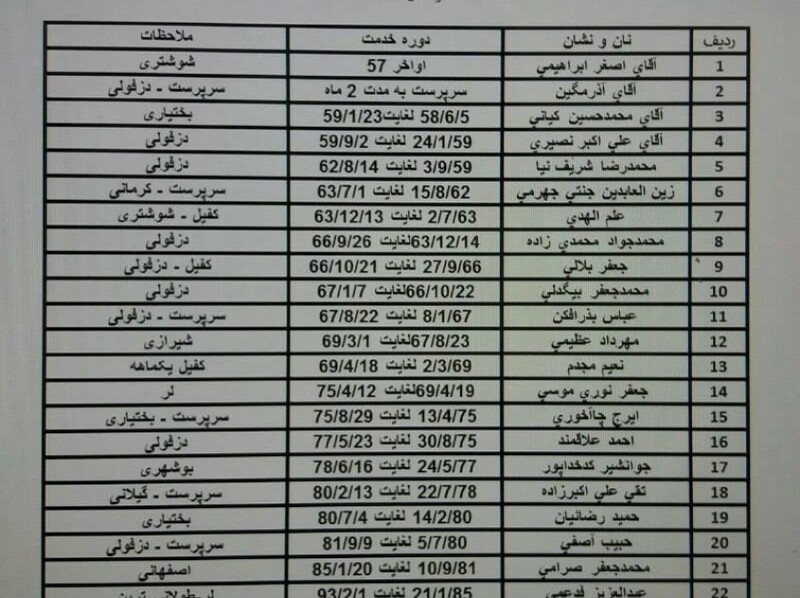 Besides the 45 days served by Naim Mojadam in this post , 2 governors were from Shushtar and 9 from Dezful and the last 7 were from the Lur and Bakhtiari population . 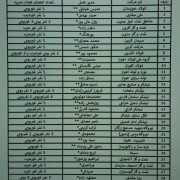 Since 1979n revolution no administrative post has been occupied by indigenous Arabs in the province . 1- Ahmad Madani (March 1979-January 1980) ,during his turn war crimes known as “Black Wednesday “ took place .On 30 May 1979 in Muhammerah (Khoramshahr) hundreds of Arab men ,women and children were killed after total take over by the militias under his command . Madani died recently in United States and was never charged. 4- Mohammad Frozandeh (1983-1985 ) ,during Khamenei presidency . Current position :member of The Assembly of Experts -Tehran . 5- Ali Jannati(1983-1988) during Khamenei presidency . 6-Mohsen Mirdamadi (1987-1989) during Khamenei presidency. Current position : Director of Islamic Iran Participation Front-Isfahan . 7-Mohammad Hasan Toolayi (1989-1991) during Rafsanjani . 8-Alireza Tabesh (1991-1992) ,during Rafsanjani . Current position : Its been 6 months since Roozbeh was released from his position as Qazvin governor and at the moment he is a university teacher-Qazvin. 10-Mohammad Hossein Moghimi (1993-1997) , during Rafsanjani . 13- Fathullah Mo’een Najafabadi (2001-2005) , during Khatami . Current position :member of the city council of Isfahan - Isfahan . 15-Jafar Hijazi (2009-2013) , during Ahmadinejad presidency . 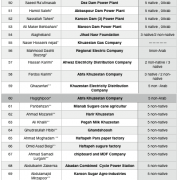 Note(1) ** indicates non-native mangers and * indicates Lur , Bakhtiari managers and no* indicates to other ethnicities. The phrase “non-Arab” refers to member of boards of directors who are non-native and non Arab. 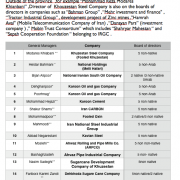 “Tractor Industrial Group” , development project of Zinc mines ,”Hamrah Aval" (Mobile Telecommunication Company of Iran) , “Danayan Pars” (investment company ) ,” Mobin Trust Consortium” which includes “Shahryar Mahestan “ and “Sepah Cooperation Foundation “ belonging to IRGC . Ahwaz Human Rights Organisation (AHRO) believes that exclusion of indigenous Arabs from posts on both local and national level and recruitment of immigrants from other provinces is an indication of ethnic discrimination and racism of the central government . The central government ’s exclusion of the indigenous population started during Reza shah and continued to this day .